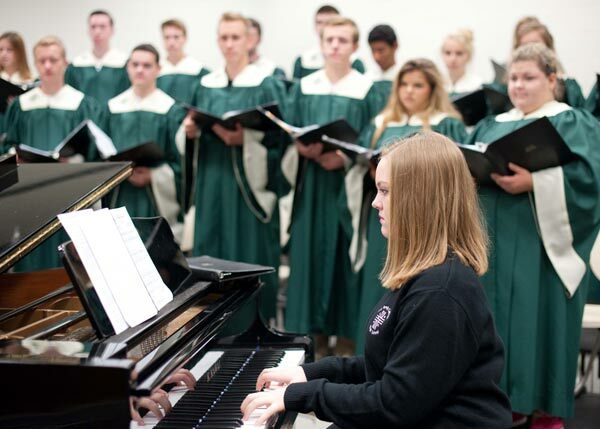 Holy Family’s vocal music program has a long tradition of excellence and opportunity. Curriculum offerings include Freshman Chorus, Camerata, Chorale, and Vocal Jazz. Co-curricular opportunities include vocal jazz ensemble Voices of Fire, female acapella groups as well as unique ensembles created by student interest and talent. The choirs and ensembles perform at three concerts each year: fall, Christmas, and spring. Voices of Fire groups have performed at Carnegie Hall in New York City three times. The ensemble also performs on the school jazz nights and coffee house performance and at local community events, schools, and senior centers. The Chorale and individual vocalists compete with singers from other Minnesota high school vocal music programs for performance ratings determined by the Minnesota State High School League. 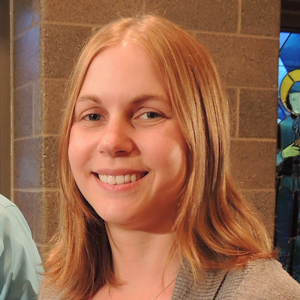 Ms. Brown is an alumna of the Holy Family vocal music program, Southwestern Community College’s School for Music Vocations, and the University of Wisconsin – River Falls.